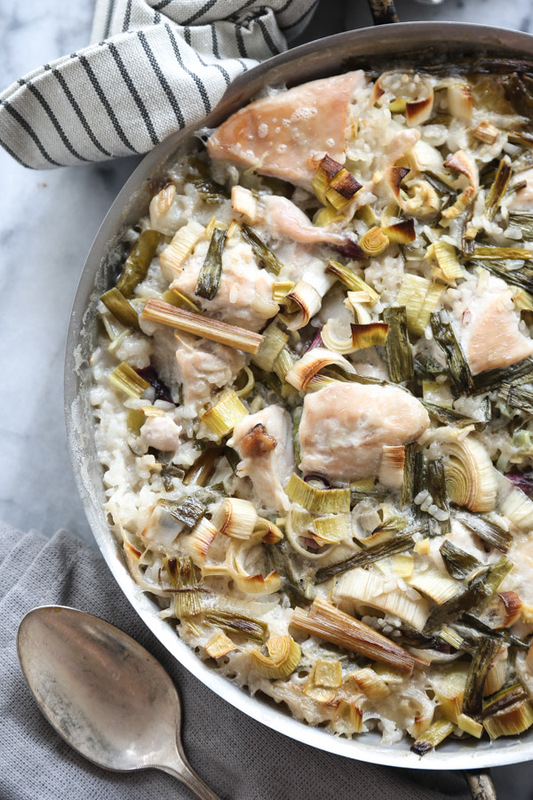 I know you’ve often wondered what would happen if your favorite chicken and rice casserole went to Thailand and came back with a scandalous love child. The answer is THIS. Yes, my Tom Kha Gai rice casserole is that love child. And it also might just be the best thing I’ve cooked in a long long while. There seems to be a lot of takeout love on the site this week, and you may remember me reminiscing about when my go-to order switched from Chinese to Thai. Upon further reflection, it was not immediately after I projectile vomited chow mein all over my kitchen. Rather, it was the first time I tried Tom Kha Gai soup in the motherland. 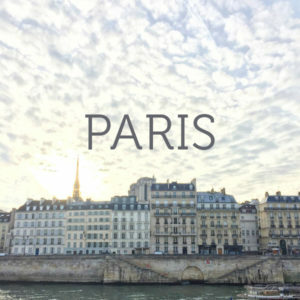 When I was a junior in high school, after successfully exhausting all the ways to scare my parents on our home turf, I came up with the idea of spending a summer doing community service in Thailand. Being an overprotective Jewish mother, naturally, my father was very opposed to this idea. But I gave a very heartfelt and convincing speech, one of the many that lead my parents to believe I would one day become a lawyer, and eventually they relented in the name of my personal growth. I imagine they regretted this decision pretty passionately when I called them three weeks into the trip from a hospital payphone somewhere in the middle of rice farming country. 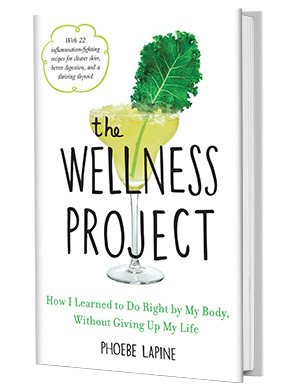 During my homestay in Chang Rei, I had come down with some mysterious illness that had held me in the grips of a 104-degree fever for several days straight. I could barely lift my head or formulate full sentences. And my surrogate mother, who spoke no English anyway, had no idea what to do except crawl into my little mosquito netted area of the attic and attempt to spoon feed me Thai chicken soup as I lay comatose on my sleeping mat. I don’t remember the specifics of that soup—whether it was made with coconut milk, lemongrass and kefir lime leaves like true Tom Kha Gai. But I do know that it felt like the most delicious restorative thing I’d ever tasted. And certainly a big improvement from the fried cockroaches they’d been serving me for dinner the first few nights. (True story. And they were actually not bad). Spoiler alert: I recovered. But I didn’t have access to a phone to let my parents know that for almost a week. Sorry mom and dad! Ever since that trip, I’ve been a die hard for Thai flavors and love incorporating them into traditional home grown American comfort food. Which is how I got the idea for this chicken and rice casserole recipe. Instead of the usual cream of chicken or mushroom soup, I designed the flavors around Tom Kha Gai. 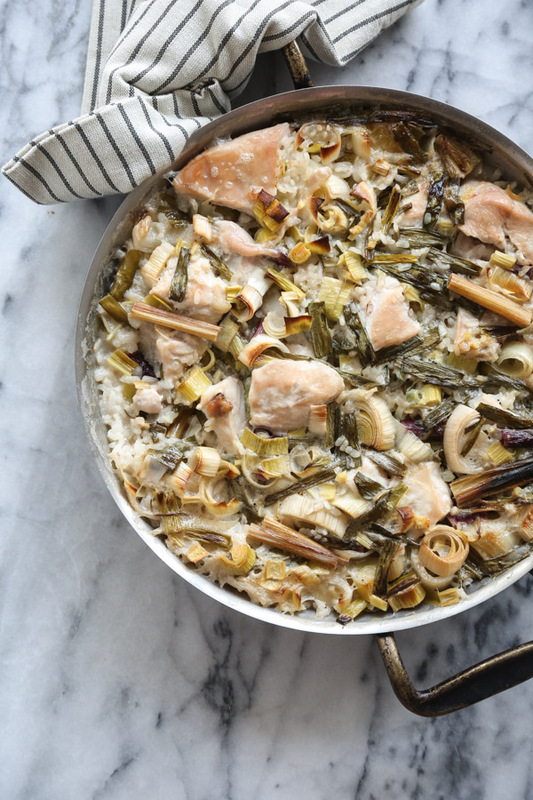 Though that sounds super fahncy, rest assured that this one-pan dish is in fact even easier: you just dump the rice, chicken, coconut milk, garlic, ginger, fish sauce, lime juice and lemongrass (if you can find it) into a baking dish and simmer away in the oven until rich and creamy. The trick for thickening the casserole without having to use a canned soup or béchamel is arborio rice. 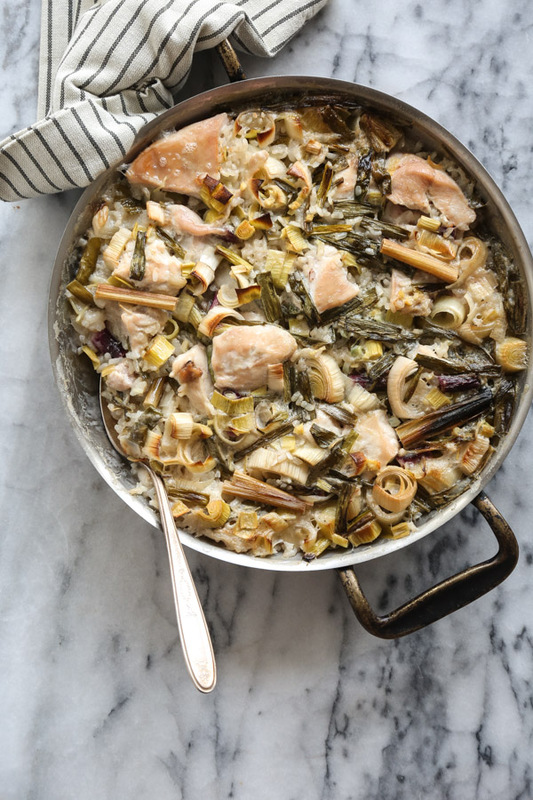 The extra starch helps the whole thing glue together, and by the end of the 45-minute trip to the oven, the grains are perfectly tender, the leeks and scallions are sweet and caramelized, and the flavors have had a chance to meld and intensify. I imagine this is what a Thai housewife would make if she relocated to Pleasantville. It’s the perfect East meets West healthy comfort food. And gluten-free! (Duh). 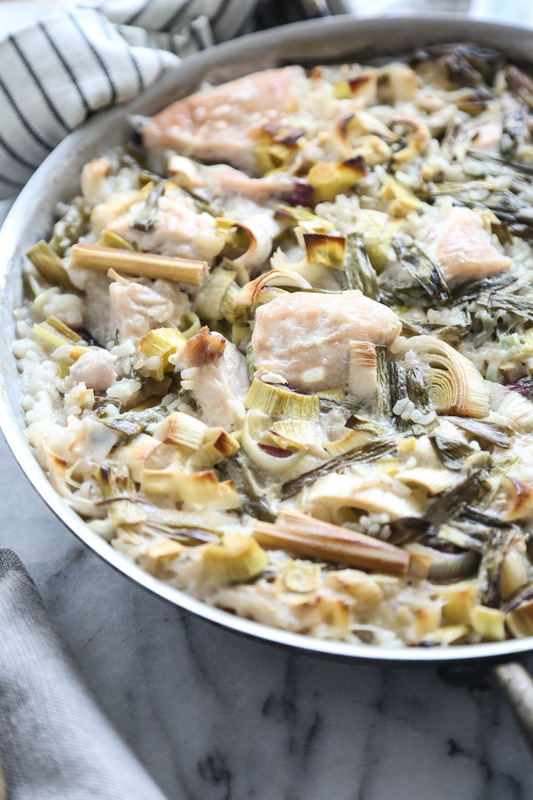 Hopefully you won’t need to contract a strange foreign flu in order to enjoy it, but should that happen (and lord knows it’s flu season in these parts as well), this Tom Kha Gai Thai Chicken and Rice Casserole would be the perfect antidote. Especially if eaten in a real bed, and not on a rolled up mat on the floor. 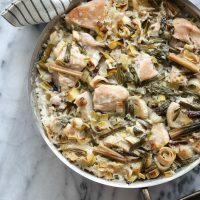 This gluten-free chicken and rice casserole recipe uses the flavors from Thai tom kha gai coconut milk soup instead of the standard cream of chicken. It's healthful and so full of flavor. 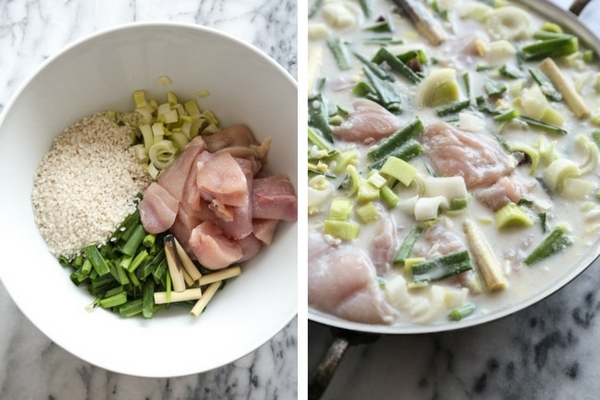 In a large mixing bowl, combine the chicken, rice, leek, scallions, ginger, garlic, coconut milk, stock or water, fish sauce, lime juice and salt. Fold the ingredients together until well-mixed. Transfer to a 9 x 13 casserole dish and arrange in an even layer. Nestle the lemon grass stalks in the chicken mixture, if using. Bake the casserole for 45 minutes, or until the rice is tender and most of the liquid is absorbed. Remove from the oven and allow to rest for 5 minutes. 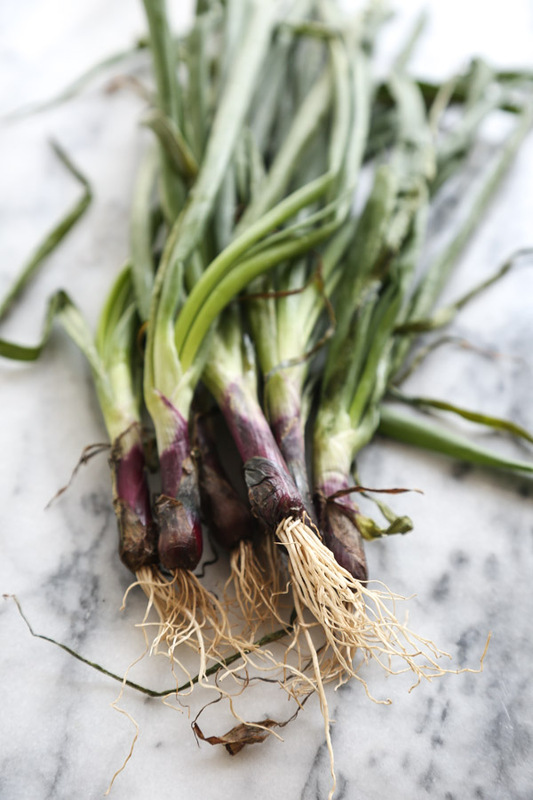 Then, discard the lemongrass stalks, and serve hot. Make sure your leek doesn’t have any grit. Cut in half lengthwise and fan out under the faucet to wash away any sand. Then thinly sliced into half moons. I like using arborio rice in this recipe because the extra starch helps thicken it without a béchamel. But you can use regular short grain white rice. It just might be a slightly wetter/soupier casserole. This is so easy and so delicious! My kids loved it too!! ah – thank you for making it so quickly Egan! thrilled everyone loved it.